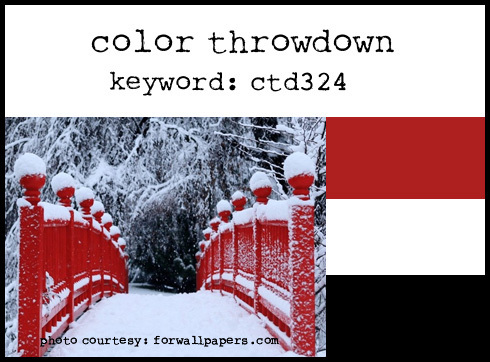 The color inspiration for this week’s card came from the Color Throwdown. I haven’t had the opportunity to play with this challenge lately, however I never miss a week where I don’t drop by and see what the talented team has been up to! I have been following this challenge since their inception I do believe! 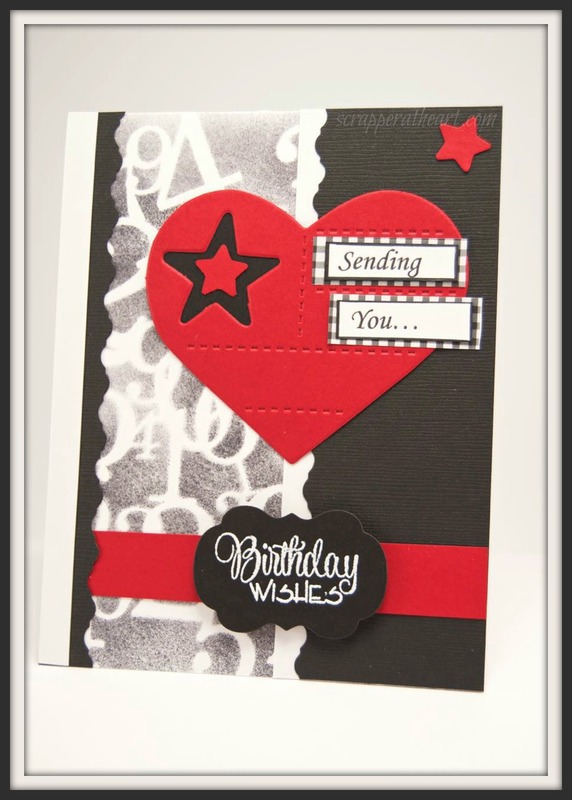 Categories: Cards | Tags: Card making, Cards, color challenge, Happy Birthday, rubber stamps, stamping, stencils, Verve Stamps | Permalink. I love the stenciled background. It works great with your card design. Awesome! I love the subtle, stenciled panel and that heart. Love the inlaid stars on that cool heart with the embossed dashes. Great color combo, too. I love your wonderful background and colors. The stitched heart was perfect for the “sending” “you”, and of course, I love that little bit of gingham you added! Very pretty! I started out doing all my sentiments on the computer, Nancy, saying I didn’t need stamps. LOL Then it was “only sentiment stamps”. Now I have a wall full of them. But only cling stamps (except for 3 or 4). Love the card. My favorite color combo. Love that I am going to steal that phrase….I feel better now! Love your card and the colors. Well done. I will have to give this a try. Nancy your layout is fabulous. Love all the different elements you added. Beautifully made. Oh, I think your co-worker will love this card. It’s very masculine. Love the colors, and that stencil is just awesome. Really nice card, my dear, as always!!!! I like that you did not use red on the numbers. It makes the heart stand out so much better. A Lovely card and a great job. What an awesome card. Love that heart with the star and stitched lines… the stenciled panel looks great. It’s a perfect masculine card. Thank you for playing along with us at The Color Throwdown. Love the look of this card, Nancy! Thanks for your kind words on my former student…. and your comment on my card…I so appreciate it! 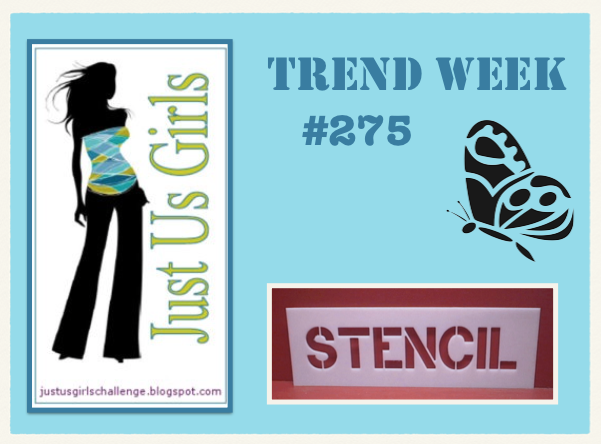 I love the mix of bold colors and subtle stenciling. Terrific card!